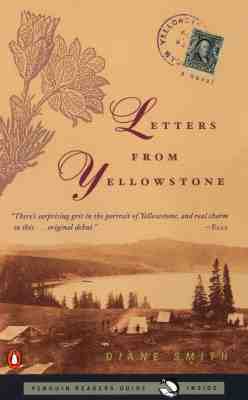 In the spring of 1898, A. E. (Alexandria) Bartram--a spirited young woman with a love for botany--is invited to join a field study in Yellowstone National Park. The study's leader, a mild-mannered professor from Montana, assumes she is a man, and is less than pleased to discover the truth. Once the scientists overcome the shock of having a woman on their team, they forge ahead on a summer of adventure, forming an enlightening web of relationships as they move from Mammoth Hot Springs to a camp high in the backcountry. But as they make their way collecting amid Yellowstone's beauty the group is splintered by differing views on science, nature, and economics. In the tradition of A. S. Byatt's Angels and Insects and Andrea Barrett's Ship Fever, this delightful novel captures an ever-fascinating era and one woman's attempt to take charge of her life.